The north-east of India holds so many secrets. This region is enclosed in the clouds, as though it is hidden from the rest of the world. People here call it the Abode of the Clouds. 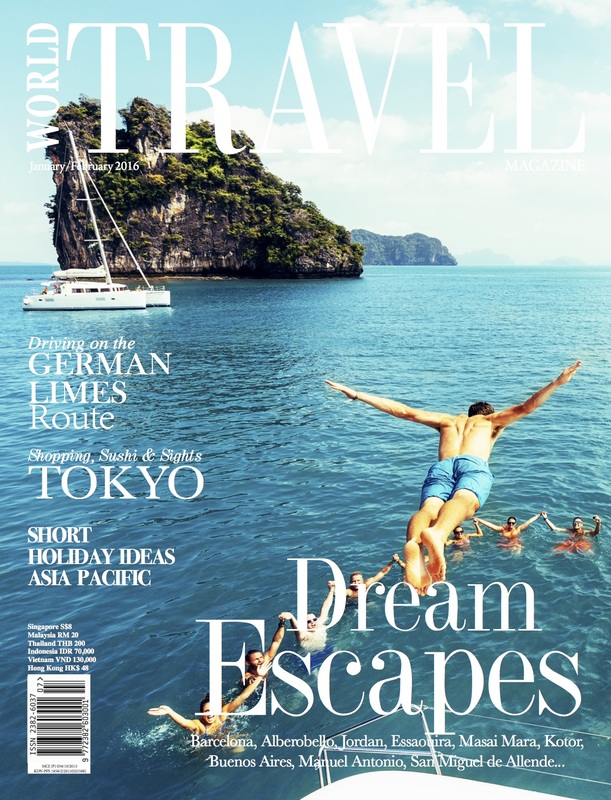 It is one of the wettest regions in the world, so make sure you bring your raincoat. But more importantly, bring your spirit because this place will make it shine. 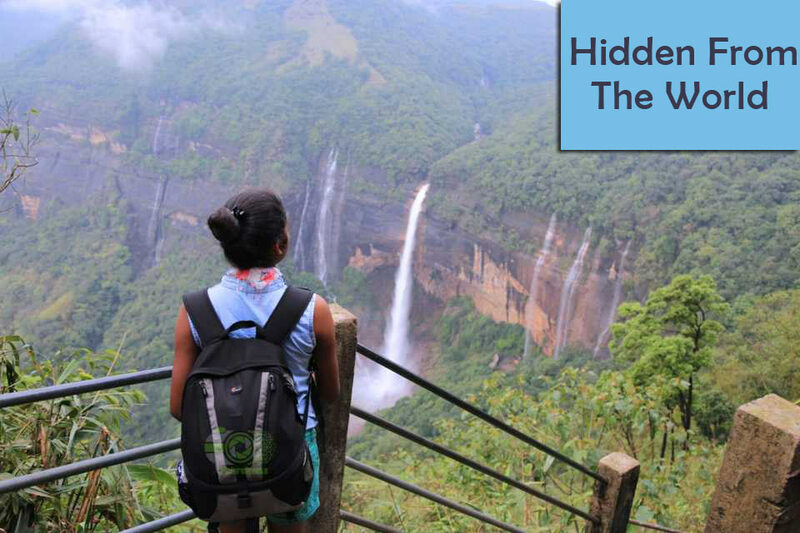 We prepared a list of the must-see places in Meghalaya. This may be the most famous attraction here. You will have to travel the dense forests and endure the beating rain, but, in the end, it will all be worthwhile. These bridges are true evidence of man’s ability to subdue the natural powers and harness them to his own will. The Khasi tribe trained the trees to grow a certain way and form these monuments of nature. The scenic area around this small village offers wonderful images of wilderness. Many people call it the “cleanest village in Asia,” while other also use the “God’s garden” nickname. This marvel of eco-tourism is a bamboo village with a beautiful platform which will give you beautiful views of Bangladesh, sitting just a few miles away. You will need about 45 minutes from Shillong to get to Mawphlang. 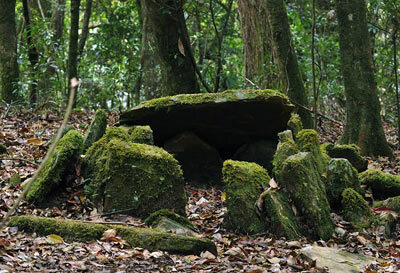 This is a sacred place worshipped by the Khasi tribe, abundant with various kinds of medicinal plants. 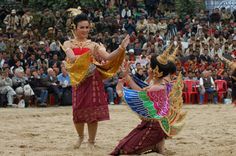 You can explore the region and soak up the culture of the Khasi. If you have a good amount of energy in you, go ahead and take the David Scott trail. The 16-kilometer trail will take you from MAphlang to Lad Mawphlang. This country is full of caves; there are more than a thousand of them. 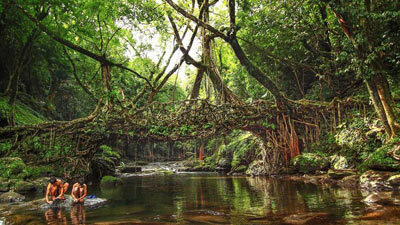 The most famous one is Mawsmai, near Cherrapunji. The cave is tourist-friendly, lit up and prepared for scores of visitors. Other caves are not so accessible, so you might have a bit of trouble to reach them. Many local tour operators offer organized visits to various caves. A true, traditional market of the Indian North East, the Shillong Bazaar stood the test of time and beat all the invaders and economic hardships. People here are used to this chaotic rumble of people and goods. One more thing: do not leave before you try the local street food!